Since getting our 3D TV the other week we've been testing out everything from 3D football to 3D documentaries to 3D Movies. It's impressive stuff. Both of the movies are aimed at children, but naturally we wanted to show off our new kit at any available opportunity so when the in-laws came to stay last week we put on Legends of the Guardians just to give them a sneak peek of what it was like. 97 minutes later we watched the credits roll having got entirely sucked in by it. And not a child in sight I might add. 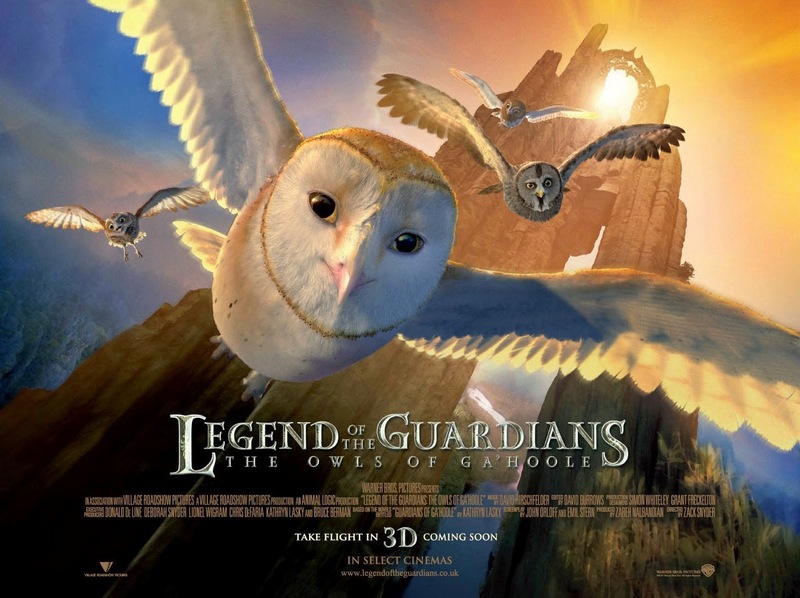 The story follows Soren a young barn owl who is kidnapped with his brother by the 'bad' owls who take them to a secret hideout where they brainwash other kidnapped owlets with the view to turning them into soldiers. Whilst Soren manages to escape in a bid to get help his brother turns to 'the dark side' and the story of good versus evil, brother against brother begins. A bit like Star Wars with owls, as my husband helpfully noted. Anyway, we all loved the film, though I think the 3D had a lot to do with it. As movies go this one was made for 3D. Impressive flight and fight scenes coupled with amazing close ups had all of us literally 'wowing' out loud. Hard to fault. I'd give it 5 stars and a big thumbs up. 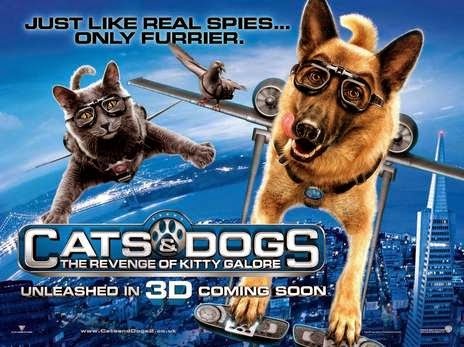 The second film we're reviewing is Cats and Dogs. I didn't actually watch this one myself but it kept the 7 and 5 year old quiet for the duration so it gets a nod of approval from me for that alone. I've got to say here that not all the 3D films we watched were of as good a quality as the two Warner Brothers ones. A Turtles Tale - rented from the local xtra-vision left us all feeling a bit headachy and a little woozy. The 3D was so extreme in parts that quite often it looked like it just wasn't quite right. So choose your 3D movies carefully. Next month I'll be reviewing Yogi Bear and Dolphins Tale starring Harry Connick Jr. Yep that's right - Harry in 3D...one for the Mums methinks. Disclosure: These movies were sent to me free of charge for the purposes of this review.